Here at Boston University’s College of Communication, we have many great opportunities to participate in professional events that are organized and planned by BU students. 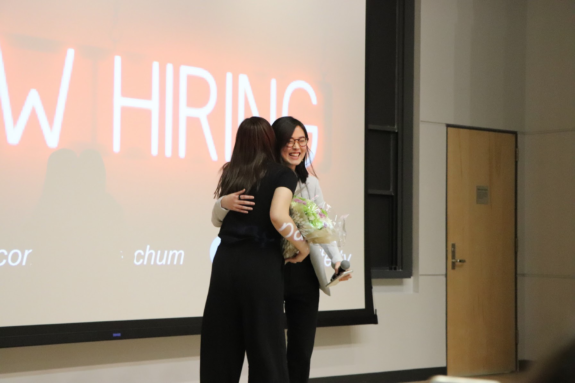 Wenyi Jiang, PRSSA’s conference coordinator, designed and ran an entire conference, PR Advanced: Find Your Voice, which took place on February 23rd, 2019. Many incredible speakers including Anthony Harrison, Director of Corporate Media Relations at Facebook, and Michael DiSalvo, Senior Vice President of Health and Wellness at Ogilvy, came to the conference and shared their experiences with more than 160 attendees. The conference was a success and Wenyi received good feedback from both attendees and speakers. The COMmunicator invited Wenyi to share her story and takeaways from hosting the conference. Lingjun Guo: I know you’re from Nanjing, China. Why did you come to the States and decide to study PR? 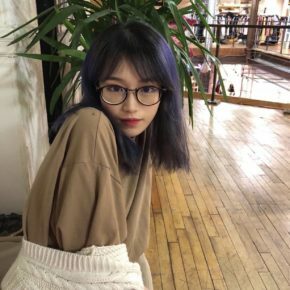 Wenyi Jiang: I think I always knew that one day I’d come to America to study. I actually went to an international high school, so that kind of prepared me for college here, but it’s still different. When I came here, I knew I wanted to do something practical, and communication seemed like a good fit. I really like the way that we can connect with people using our communication skills. Now, I have spent two and a half years studying public relations. LG: Can you tell me what your job is like as a conference coordinator in PRSSA? WJ: I am fully in charge of the conference planning process. I have to build a planning committee for the conference so that I can have people that help me with promotion, manage logistics, invite speakers, and organize programming. I update my faculty advisor and E-Board about the planning process weekly. By the end of the semester, we can begin to invite all the speakers, book the building, build the program for the day of the conference, and reach out to other chapters in the region. LG: Did you come across any challenges during the preparation? WJ: There were a lot of difficulties since this was the first time I was doing this. For example, when we invite speakers, we always have to wait to see if they can come. If not, we have to look for another speaker. Eventually, we will have a plan, but at the moment you’re just very nervous about “What if this one doesn’t work either?” and “How can we find another alternative?” It’s also challenging just to be the leader of a committee, to be in charge of people, and to be friendly but firm with them. LG: You made it! I heard there were many great speakers at the conference. What character traits are you looking for when reaching out to speakers? WJ: One of the goals we had for this conference is that we didn’t want our attendees to come and just feel like they were getting all these case studies. We wanted them to be informed but also entertained, and really get inspired. That’s also why we chose the theme “Find Your Voice.” I think it’s really relevant in today’s time. It’s also very personal, too. Young professionals in the field, like us, really want to know when, where, and how to stand out. How do we use our voice in this industry? I think we try to look for people who have amazing speaking skills and who can really inspire people. LG: Did any moments that stood out to you during the conference day? WJ: Now when I think about it, everything was totally manageable, but at the moment it was nerve-wracking. I remembered that when I went to the stage for the ending speech, there was shouting from the crowd. They were like, “Yes! You did a very great job.” Almost all of the attendees were cheering. That’s the moment I realized that I finally did this after eight months of preparing. I was truly grateful for people who believed in me. LG: What do you think is the most valuable lesson that students learned from the conference? WJ: So for this conference in particular, it was all about how to find your voice and how to find yourself, but also how to continue to make improvements and progress. I think that’s what students really learned from this conference and those are valuable life lessons you can have. The PR industry is really competitive, and sometimes people get lost and they think, “Oh, it is my personality that is not suitable for the industry.” There are a lot of people who are quiet and maybe introverted. They often think, “Can I survive in such a competitive and noisy environment?” So, this conference really told people how can you be yourself and really stand out. I think it does not only apply for PR, but also for other industries where you have to engage with people. LG: What did you gain from running this conference? WJ: I think I really just stepped out of my comfort zone and believed that “I can do this.” It was really an overwhelming amount of work when I first got this job and I was like, “How can I possibly pull this off?” But what I learned is that you just make plans, and step by step, you make it happen. Don’t ever let emotion and stress take over. There are so many things you can learn from participating in the planning process. I think all my committee members said that they gained something valuable from this experience. LG: Congratulations again on your successful conference. Do you have any future plans for PRSSA? WJ: I really want to stay in PRSSA next year. I look forward to new ways that we can support more members and expand our community. I think participating in PRSSA is a really good way to get in touch with the real-world practice of ublic relations without being overly stressed by the real-world consequences. You are the one who gets to choose how much you want to participate. PRSSA taught me how to utilize all of my resources, how to participate, and how to step out of my comfort zone. I am very thankful for everyone in COM who helped me with this conference.